Right next door to the General Store at Haugfosstråkka is this hidden pearl of a shop. Here you can hunt for treasure and find a unique piece of jewellery for formal occasions or for every day. Gemstones and minerals have been used for jewellery for thousands of years. We have a huge selection of unique jewellery and other gemstone and mineral souvenirs. You can also find wrought iron and leather goods here. Just looking at all the fine products on display in this old and historic setting will give you inspiration. There has been a shop in this building for more than 250 years. Candlesticks, leather, bags and gloves are lovely ideas for gifts or something to treat yourself to. Other items such as blankets, serviettes and linen fabric which is ideal for curtains are also popular in this lovely little shop. If you look round many of our shops and cafés, you will see that we have used the same linen fabric to make our own curtains. 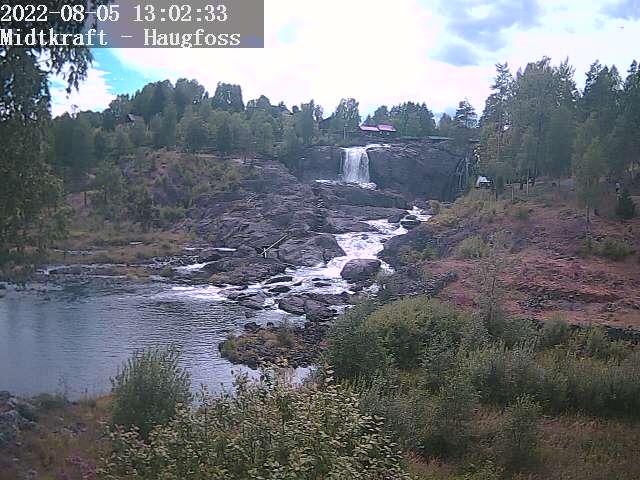 Around the shop, you can enjoy the view over Haugfoss waterfall, and treat yourself to a big waffle or other tasty bite from our Thranestua café with its atmospheric outdoor terrace above the falls.